I’ve always been an active person. I played football a couple of times a week, cycled regularly, played basketball, played league cricket & league table tennis, and was a Cub Leader in Anstey for 35 years. I was also a ‘big eater’ but I always thought that the food consumed and activities done would cancel each other out and all would be ok. It probably was ok for a long time, but eventually I started noticing the waist size creeping up when buying trousers and struggling running up and down the wicket when batting at cricket. One day I saw an article about Anstey Slimming World group, and that there were MEN in the group, so thought it was time to do something to sort myself out. Me and Judith joined the group in March 2013. The scales stared back up at me on that first night and said 19 stones 4 lb, which was the shock I needed. I took to the Slimming World ‘Extra Easy’ plan very well and after six months I reach my target of 14st 10lb, a loss of 4st 6lb. I kept at my target weight for 18 months and felt much better for it. Early in 2015 Judith joined Team Anstey and was coming home enthused with the support and friendship in the club. As I had never run I thought that it was not for me and didn’t really think much more about it, it was Judith’s ‘thing’. After a few weeks Judith said that the club were thinking about starting a cycling section and would I be interested. I agreed, but unfortunately the cycling section never materialised. Judith said why not join the beginners running group instead ? Still convinced that I couldn’t run I went to my first session in May 2015, during the warm up on Sheepwash Lane I tripped and fell in the gravel, not a great start ! The beginners group was great fun, I could not believe I could run. The group graduated with a first Parkrun on 25th July 2015, the day I first ran a full 5k. 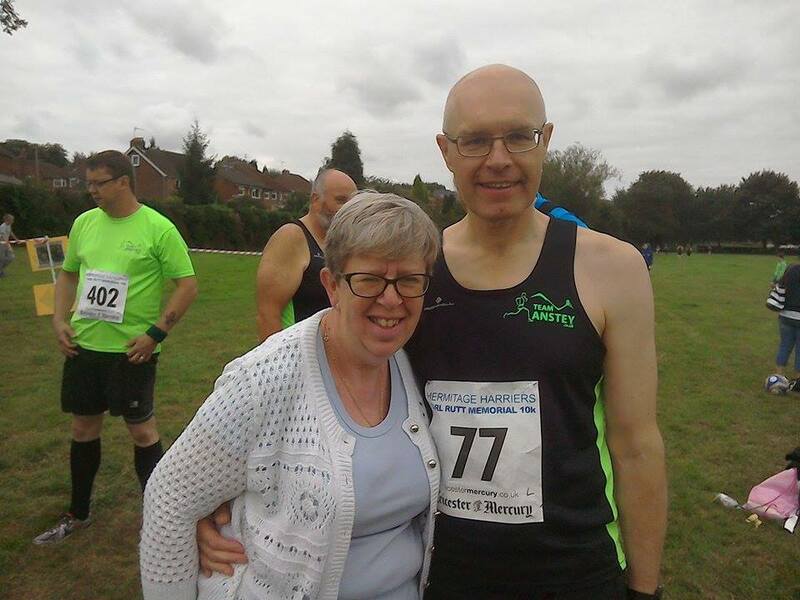 I started to go to Parkrun regularly and me and Judith supported Team Anstey at the league races and Robin Hood half marathon. I felt that in 2016 I might be able to run a few races myself. In the meantime I had also lost another stone in weight, another benefit from running. First sub-30 minute Parkrun in February, 100% award for the winter and summer league races, ran the Robin Hood half marathon in September and ran my 50th Parkrun in December. How do I follow that in 2017 ? 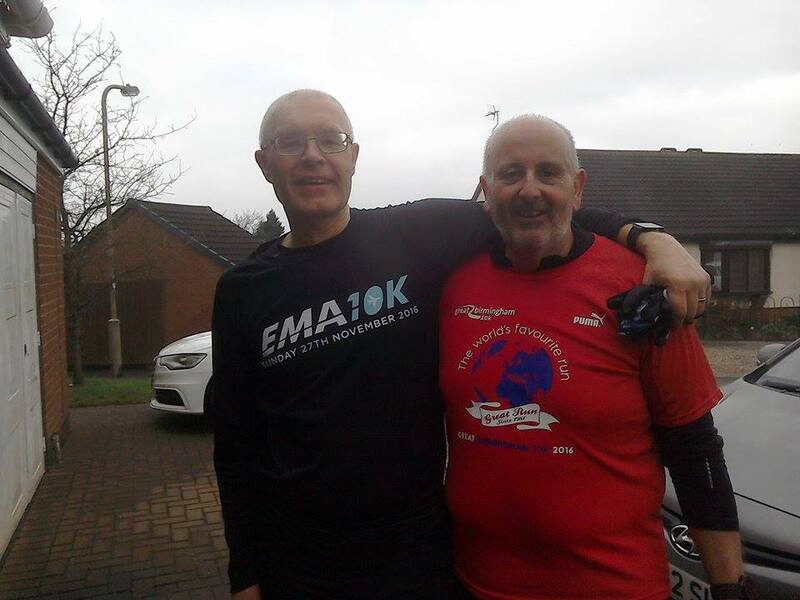 I found that out at the club AGM when I was drawn out of the club ballot for a place in the London Marathon. As I write I am now deep into the training plan, but enjoying every run (honest), often trying to keep up with Andy Lundy and Vicky Vernon who have been great company on the long runs. Whatever happens in the marathon you can be confident that I will give my best and that I will be VERY proud to wear my Team Anstey shirt. What else can I say ? I know it is an old cliché but if I can run then anyone can. Also keep challenging yourself, you will never know what you can achieve if you don’t try. My biggest thanks go to Judith. I couldn’t do all this without your support and I would be thrilled to see you back out running one day. My name is Paul Sharratt and I am a RUNNER.